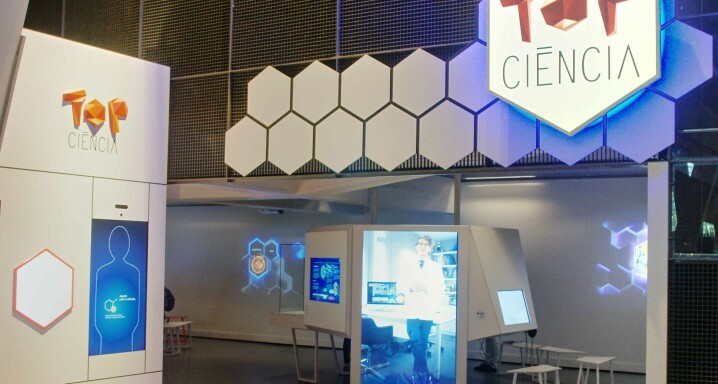 CosmoCaixa, the renowned educational and scientific centre that forms part of the "La Caixa" Social Welfare Project, has collaborated closely with the Institut de la Màcula (IM) and the Barcelona Macula Foundation (BMF) to create an experience entitled Retina. Nuevos tratamientos para curar la ceguera (Retina. New treatments to cure blindness). Included in the Top Science itinerary, the exhibition results from the partnership between the three institutions. It shows how the eye works, draws attention to degenerative retinal diseases and covers the treatments that have attempted over history to halt pathologies that in many cases remain incurable even today. The space explains the international projects that have involved the IM and the BMF and created solid channels for the achieving of therapies to end some of these forms of blindness. The research means it is now possible to control the wet version of age-related macular degeneration (AMD), which was devastating and unstoppable until only a decade ago. The channels created by new cell therapy techniques provide a glimpse of treatments that can halt similar pathologies or even restore lost vision in the near future. 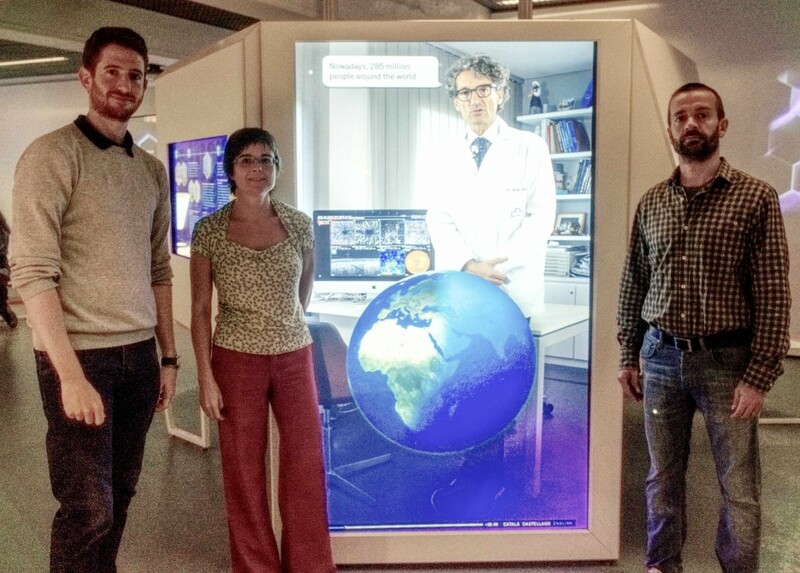 Eduardo Rodríguez Bocanegra, Anna Borrell and Dr Marc Biarnés, in CosmoCaixa. Retina. Nuevos tratamientos para curar la ceguera takes a journey around this different research and details the processes involved in medical innovation work. It also displays in an educational and interactive manner the paths that are now open for research into blindness. The director of the IM, Dr Jordi Monés, Dr Lucia Ferraro and Anna Borrell, Head of Institutional Relations and Communication, and Eduardo Rodríguez Bocanegra, researcher at the BMF, have intervened in the elaboration of its contents. The exhibition runs at CosmoCaixa until September 2018.